This product is a pre-order for a book that successfully funded on Kickstarter. It is currently set for release sometime in 2019. 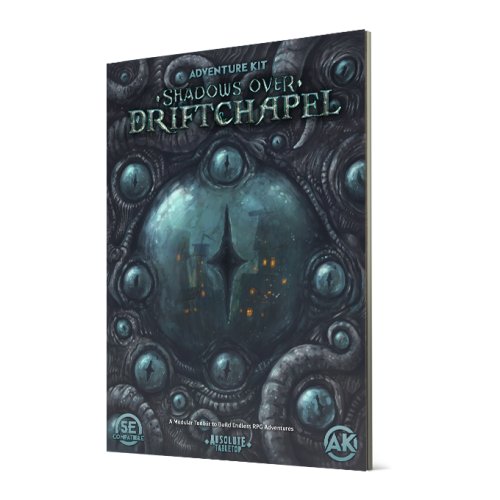 The Kickstarter is over, but if you missed out, you can pre-order your copy here! Absolute Tabletop is proud to present: A Dead Man’s Guide to Dragongrin – a campaign setting guide and worldbuilding toolkit for forging your own dark fantasy realm. 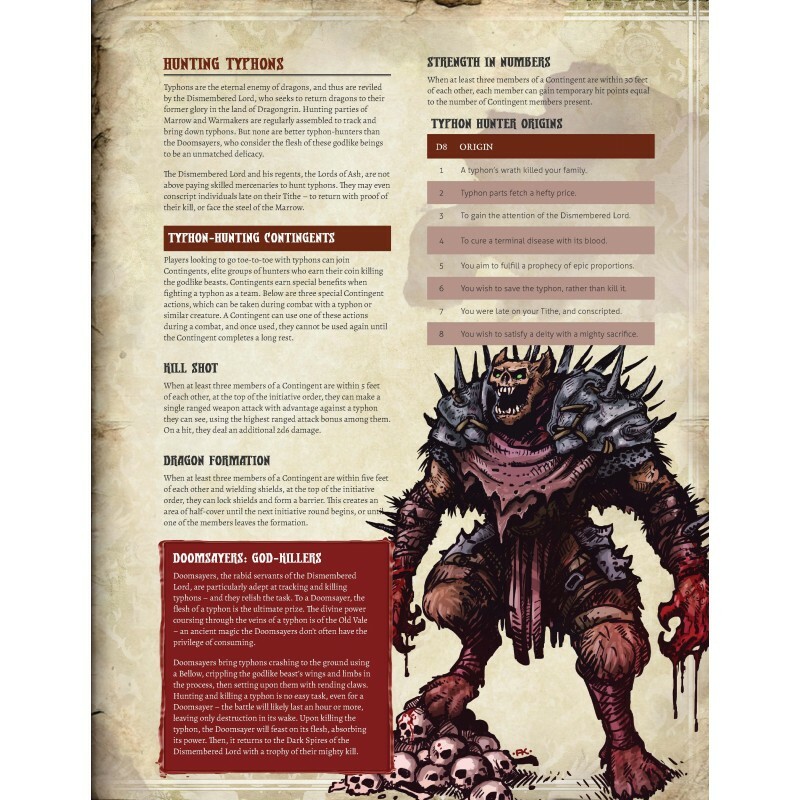 Fully compatible with 5E, A Dead Man’s Guide to Dragongrin includes extensive setting background and mythos, unique regions and cultures, new player options and mechanics, and a host of inspirational tools and creative techniques for building your own version of this twisted, troubled world. Evil reigns in the realm of Dragongrin. The Dismembered Lord extends his reach and the free lands kneel before his shadow. But his dark forces do not march unopposed. There are those who do the impossible in Dragongrin. Some call them fools, traitors, troublemakers – others call them heroes. 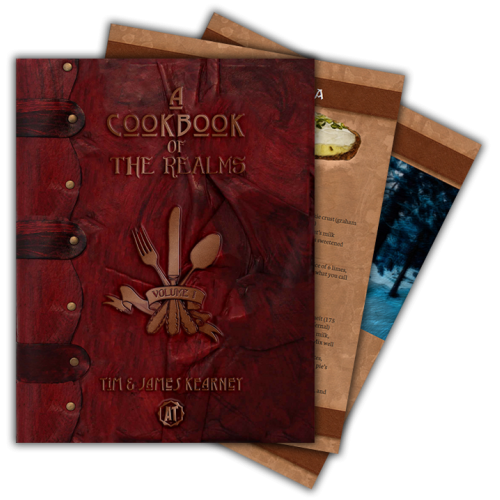 You are those heroes, and this is the book you need to forge your legend. A Dead Man’s Guide to Dragongrin is an atlas of inspiration. This robust campaign setting guide brims with the unique lore and rich history of the world of Dragongrin. 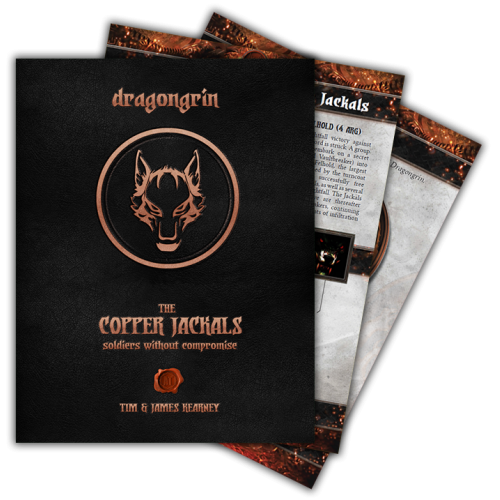 Also included are customizable options and prep tools, making this a truly modular worldbuilding toolkit. 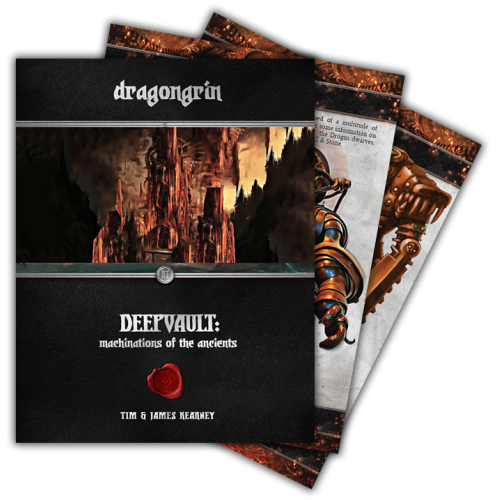 Discover the dark fantasy realm of Dragongrin, learn of its troubles and conflicts, and then make it uniquely yours, bringing it to life at your game table. 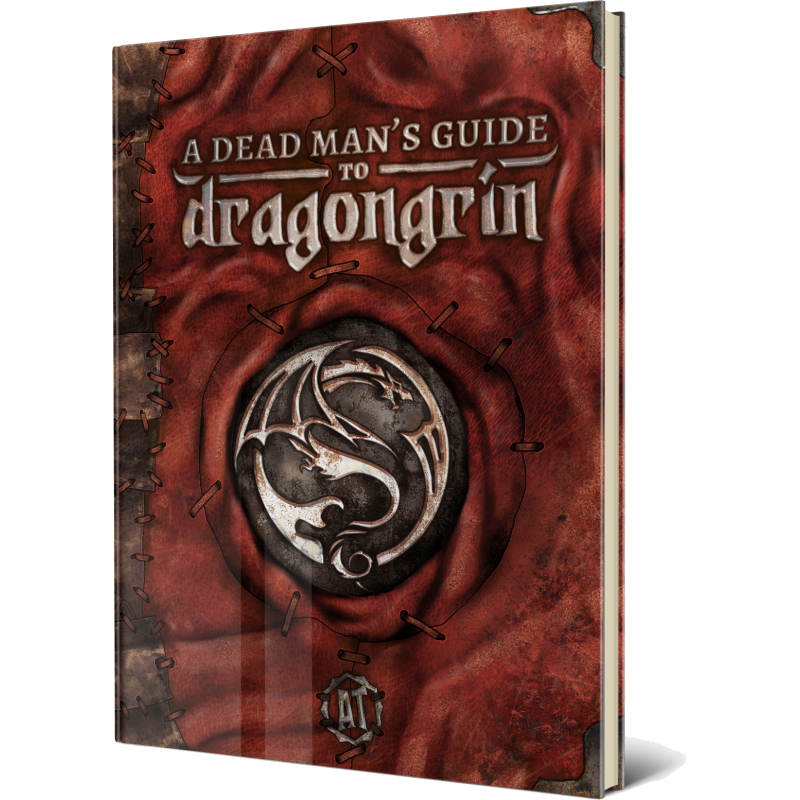 While our page count may fluctuate, our current calculations put A Dead Man’s Guide to Dragongrin at around 375 pages. This will be a monstrous book, jam-packed with usable content. Section I: Primer – Getting familiar with the world, and roleplaying within it. Section II: Character Creation – Building a hero unique to the realm. Section III: Life in Dragongrin – Everything from dominant culture to cosmology, presented in fun, usable ways. Section IV: Region – Regions unique to the realm, including everything you need to explore them as a player or Game Master. Section V: Wonders – The extraordinary facets of the realm, each getting a section full of roll tables and lore. 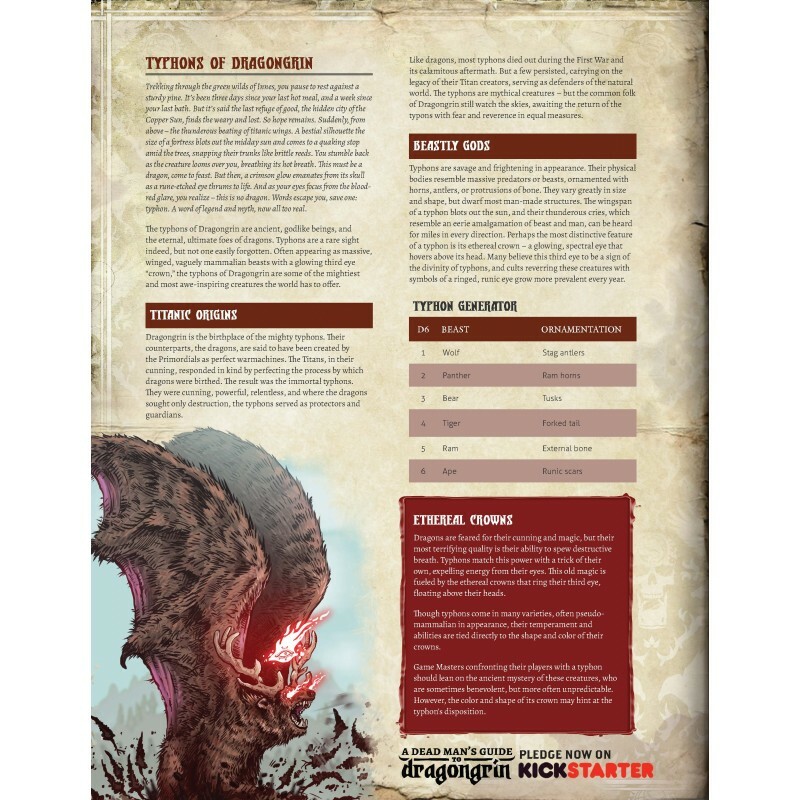 Section VI: The Darkness of Dragongrin – Thematic rules options for combat, treasure, and monsters. 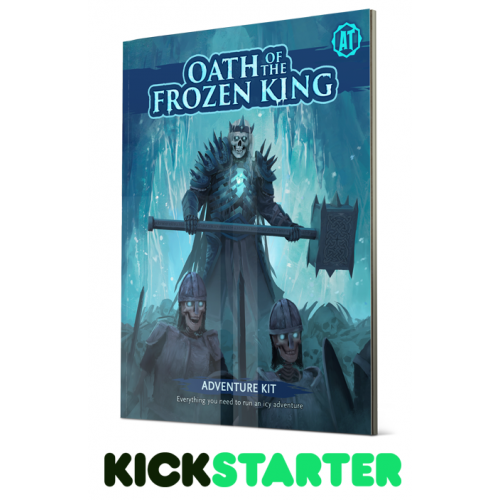 Oath of the Frozen King is the first book in our new Adventure Kit product line. We’ve created a ver..